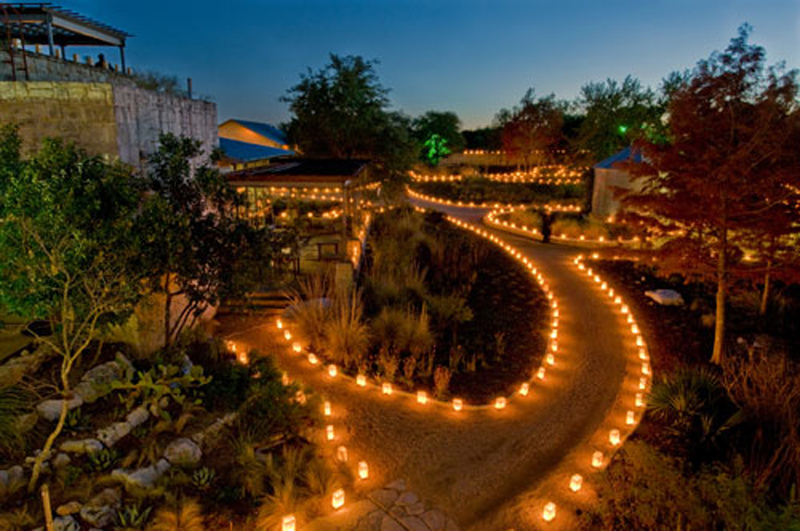 Lady Bird Johnson Wildflower Center at 4801 La Crosse Avenue will radiate a holiday glow for three hours each evening of Dec. 14 and 15 beginning at dusk as flickering flames from tiny votive or electric candles light 3,000 handmade lanterns. “Luminations,” a free family-friendly annual event, benefits Capital Area Food Bank on both nights from 6 to 9 p.m. with a donation of two cans of food per person. Early visitors may park in the center’s parking lot, or along La Crosse Avenue; turnover frequent occurs as guests come and go during the three-hour open house on both nights. Staff also will be available to offer parking assistance. The lanterns made to look like paper sacks with the tops folded down are cast from plastic and each measure about 10 inches tall and 6 inches wide. The glowing lanterns, called luminarias in Spanish, represent a 300-year-old holiday tradition throughout the Southwest each December. The luminarias will light at ground level the walking pathways for visitors to the Wildflower Center. Some of the Wildflower Center’s luminarias utilize tiny electric bulbs that feel cool to the touch. However, a warning to parents of small children, other lanterns on the grounds feature glass votive or fire-lit candles. The burning candles will be located at the front entrance of the Wildflower Center closest to La Crosse Avenue and will extend all the way into the courtyard. The electric luminarias will be situated throughout the themed gardens to include: plants that attract butterflies, plants that prove good at repelling deer, and the cacti garden. Parents with small children and strollers are welcome; pets are prohibited. Beside the center’s cistern, a laser-lit tree and bushes will emit more than 5,000 points of light provided by the Christmas Light Pros. The lighted display draws large crowds of visitors every year. The lasers reflect outward and illuminate solid tiny green and white points of light against any surface, including skin. Because the lights do not disperse, visitors enjoy taking photos of their loved ones seemingly glowing green with an eerie and surreal star-like quality. “It’s really beautiful. The kids and adults alike are filled with awe when they walk by. I think they are mystified about what it is and how it got there,” Butterfield said. Butterfield said that visitors walking the paths around the laser-lit trees should avoid walking on the wild plants that grow nearby in the environmentally sensitive habitat. The gardens feature blue, violet, scarlet and gold blooms this time of year from Autumn Sage, Sky Blue Aster, Resinbush, Scarlet Sage, Sunflower Goldeneye, and American Beautyberry. “The American Beautyberry is gorgeous. It’s like this beautiful purple lilac color. The blooms are these clumps of berries that grow together to form a 2- to 3-inch array of color,” Butterfield said. Together the lanterns, laser-lit trees and blooming plants provide a spectacular, one-of-kind visual bonanza of sights accompanied by the sounds of live musical performances by local musicians and choirs. One of the musical performances will be provided by Southwest Austin’s own Bailey Middle School students who will perform at 7 p.m. Dec. 14. The beginning steel drum group made up of 19 students, will perform a variation of three songs: “Green Sleeves,” “Turtle Town,” and “Nah Going Home.” The students will dress in Hawaiian theme clothing and tie dye T-shirts. Bailey’s steel band drum band has performed at the Wildflower Center before, but this will be the first time for one of its newest director’s. Alex Ortega, an assistant band director and steel drum director who teaches percussion and trumpet graduated last May from Texas State University in San Marcos with a degree in music education. This semester has been his first job teaching in Texas public schools. “These are steel drums that are based out of the Caribbean Islands, so it gets you in the mood of being on the beach and relaxing in the sun. They are happy tunes that you would typically hear in the Caribbean,” Ortega said. The second group of the advanced steel drum band is composed of 17 students who will perform nine songs including: “La Bamba,” “Sarah,” “Jump in the Line,” “Pyxis,” “Pan Christmas medley,” “Oye Como Va,” “Tre Pak” from the “Nutcracker Suite,” “Under the Sea,” from the movie “The Little Mermaid” and “Slaughter Lane,” an original song written by Austin composer Emily Lemmerman for James Bowie High School. “It will be fun. The kids are really excited about it. We have some Christmas songs and some other songs that show off the songs of the Caribbean,” Ortega said. Outside seating on wooden benches will be provided and right off the courtyard, visitors may sit in tiny seats within the Little House during “story time.” Wildflower staff and volunteers will provide story time readings. In addition to the beautiful holiday lighting and musical performances, children will receive a visit from “Frosty the Snowman.” They may also participate in arts and crafts activities inside the Wildflower Visitors’ Gallery. A snowflake-making craft has proved to be one of the most popular each year. Lone Star Kettle Corn will also sell freshly popped goods at the entrance to the Courtyard. The Wildflower Café will be open for business and will sell hot drinks like apple cider and cocoa as well as tasty baked goods. The McDermott Learning Center will display Christmas trees decorated with Texas and wildflower-themed ornaments by local businesses. Both Saturday and Sunday evenings, decorated trees in the MLC will be provided by Mockingbird Domestics, Ana Perkins of Grown Up Shoes, and Breed & Co. The Wildflower Gift Store will also offer unique items for sale. The store offers a lot of handmade and artisan gifts – everything from painted flower pots to hand crafted clothing to artisan jewelry and handmade holiday ornaments. Guests may sample Texas Yaupon Tea, the only native one to North America, made from a type of holly bush. 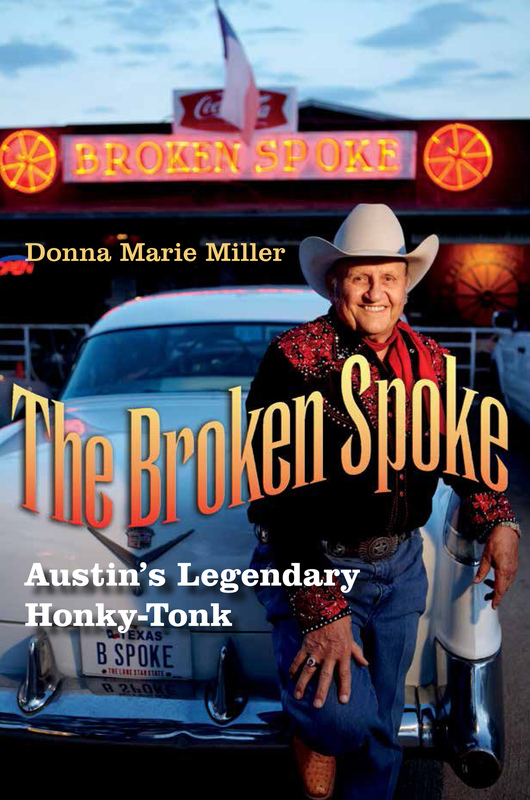 On both nights, local authors and illustrators will personally autograph copies of their works from 6 to 9 p.m. in the Wildflower Store. Saturday night, Alan C. Elliott and Stephanie Ford will sign their book, Willy the Texas Longhorn, a Santa Tale. The story features a Longhorn who helps Santa navigate a nasty Texas fog one Christmas night. On Sunday night illustrator Keith Graves will sign his book, Too Many Frogs, written by Sandy Asher. The story features a rabbit and a frog that also turn out to be a humorously odd couple of bookworms. The festive event impacts the local community by raising charitable donations for a non-profit food bank that serves the entire state of Texas. The 9,000 pounds of food amounts to 7,500 meals, said Sara LeStrange, communications director for CAFB. Currently the website for the food bank states that the organization serves about 48,000 central Texans each week. However, that number only reflects a portion of the actual people served weekly over the past year, LeStrange said. CAFB is working hard to meet a growing need in Central Texas. Not only do events like Luminations raise food donations, but they raise overall awareness as well, she said. “Over 40 percent of the people we serve are children and a majority of our clients are made up of families with at least one working adult, the elderly and the disabled. Something in Central Texas we don’t realize is that for a lot of us, hunger lives next door. Hunger is everywhere,” LeStrange said. food within the expiration date on the packaging.